Our mission is to improve patient outcomes. Who is VetTRENDS®? System Medical Inc., doing business as VetTRENDS®, was incorporated in Florida in 2001 by Jim Arnold and his wife Rosemary. Jim has a Bachelor of Science in biology. After graduating, he worked extensively in the medical field developing, marketing, and selling critical care medical products. Jim and Rosemary raised their four daughters while constantly having animals in the house. Each pet quickly became part of the family and played a special role in their lives. With this love of animals and decades of experience with medical equipment, it made sense for them to start a veterinary-based business focusing on critical care medical products. The company offers veterinary supplies such as veterinary surgical equipment. In 2009, VetTRENDS® took on a new partner, Dale Kosted DVM, as the medical director of VetTRENDS®. Dale has been a respected friend for over ten years and has a mutual passion for improving veterinary patient outcomes. He has more than 25 years of experience as a practicing veterinarian. VetTRENDS® continues developing a very successful monitoring system that is manufactured, designed and supported in the United States. We work closely with our partner Zoe Medical in Topsfield MA to design and manufacture a high quality veterinary monitoring system that expands new monitoring technologies for the veterinary patient. Now the veterinary patient moves closer to benefiting from technologies that previously benefited only the human. 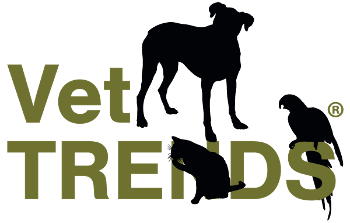 VetTRENDS® moves forward as a company with a focus on the veterinary patient, and we take the medical needs of these patients seriously. We fully understand the bond between pet owner and pet because that bond exists in our own lives. We will never follow the path of so many import companies that profit by flooding the veterinary market with low-quality imported products sold with expensive ads. We measure our success not by profit margins, but by how many patient outcomes we have improved. This is our passion. It is our focus. If we can, even in a small way, be positively involved in improving patient outcomes, and have it noticed by veterinary clinicians, we consider ourselves successful. We move forward knowing we make a difference.